Williams Interactive didn’t release a new slot game last month, which was a bit odd. But they are now making it up with the release of two new slot game. And I have to say, pretty cool games with a lot of different wild action. Both games are now available at Betsafe. The first game is Viking Vanguard, a 6 reel slot game. During normal play one random reel will always be wild. All symbols, including wild also appear stacked on all reels. If you get 3, 4 or 5 bonus symbols anywhere you will receive 8, 20 or even 100 free spins respectively. During free spins the reel that was wild when you triggered the bonus will stay wild during all free spins and 1 to 5 extra wild reels can appear on each spin. Viking Vanguard has the possibility to award 6 wild reels. Free spins can even be retriggered when you get 3 or 4 bonus symbols anywhere (5 bonus symbols are not possible during free spins because of the added wild reels). 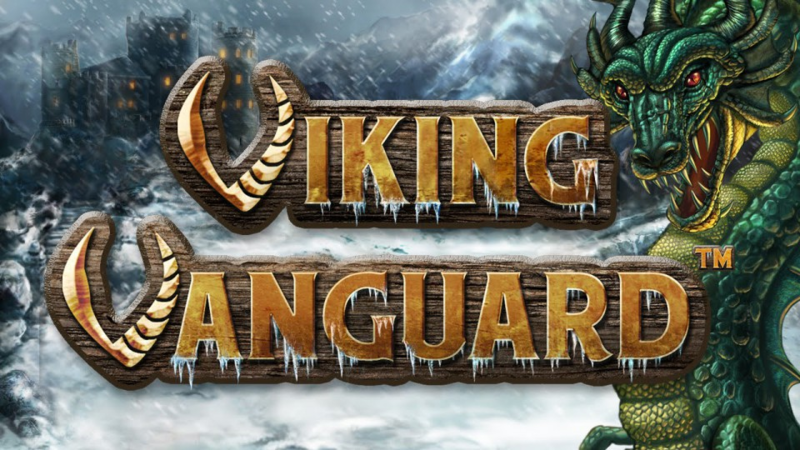 Viking Vanguard is a very nice looking game and the free spins feature can be very rewarding. Watch the gameplay video for a first look. The second game is Nemo’s Voyage, which might be a bit harder to explain, but once you play it, is a very clear game. During each spin your submarine will go deeper, when it reaches certain levels you are awarded with special wild symbols. Multiplier wilds, expanding wilds, stacked wilds and last between 1 and 3wild reels during each spin. A new wild symbol will replace the other, so you will always have just one special wild active. But reel 5 has a special symbol when appearing it will increase or decrease pressure. When the pressure is to high, the submarine will go up again and you will lose your special wild symbol and have to start over again. Nemo’s Voyage also comes with a free spins feature. 3 scatter symbols on reels 1, 3 and 5 will award 8 free spins. Before each free spins random wild symbols may appear on the reels. These wild symbols will act as sticky wilds and stay on the reels for the remaining number of free spins. Free spins feature can not be retiggered and your special wild symbols during normal play does not appear. Nemo’s Voyage is also a very nice looking game and all the different wild symbols make it that the game stays interesting. View Nemo’s Voyage gameplay video for a preview. As I mentioned above. both games are already available at Betsafe. While some other online casinos only offer one of the two, or don’t even offer them yet.